These facilities are part of a chemical industrial complex that stretches for about 20 miles along the banks of the Delaware River. Paulsboro is a community that’s pretty much in the middle of that. We were at Paulsboro High School, about a football field away from those facilities. Sometimes, it’s no fun to be vindicated and say “I told you so”. But Tuesday’s National Transportation Safety Board hearing and final report demand both an “I told you so” and an in depth response here. So today, we provide part one – a little of the history and an overview of key NTSB findings. I hardly know where to begin and I hate to use such a trite cliche, but you really can’t make this stuff up. We had been to Paulsboro and written about the place many times prior to the accident (beginning with this 2008 Star Ledger piece “In Harm’s Way) and have been writing about the Paulsboro toxic train derailment since the day it occurred. From day one, we strongly criticized the emergency response, the limited evacuation, and especially the false and misleading information provided by government officials to the media and the community about the health effects and risks of the chemicals involved . I went to Paulsboro during the episode and ventured into the “hot zone”. I knew the accident was far worse than officials told the public and that the emergency response was badly mismanaged, and that’s why we filed a petition seeking performance reviews by the Inspectors General at the EPA and Department of Homeland Security. I provided the toxic context, explained how state and federal regulations were flawed, transportation infrastructure decrepit, how the reported monitoring data were flawed, how the science and health effects did not support the “shelter in place” response, how monitoring data exceeded federal safety standards, how the risk communication plan was controlled by a questionably competent corporate consultant, and how Gov. Christie failed to respond, not even to the minimum level set by Louisiana Gov. Jindal. As lawsuits filed by residents prompted the media to probe what went wrong, I thought it was bad when they reported (long after the fact) that the Gloucester County Emergency Response Team lacked batteries for their hand held air monitors. No biggie, those air monitors just tell emergency responders whether exposure to toxic gases are in concentrations that just might kill them or thousands of nearby residents. And I knew in real time, and wrote about it extensively, that officials were outright lying about the toxicity of the chemical vinyl chloride, the health risks of exposure, and the faux evacuation and “shelter in place”. NTSB investigators have now validated virtually all those criticisms – and found far more mistakes, negligence, and potential wrongdoing that I was unaware of. the Paulsboro police told responders and the public that the gas was not toxic. When told of their error, the mistake was not corrected. DEP issued public statements about the chemical risks that were flat out false, had no scientific basis, were misleading, and that endangered people. When told of their error, the mistakes were not corrected. I could go on. And will in future posts when the NTSB Final Report is released. But for now, before we write those more detailed posts, let’s just consider key issues. First, just look at the map above and focus on the 1/2 mile evacuation radius. That is the minimum evacuation zone recommended by federal emergency response guidelines – it could be far larger for some chemicals like chlorine, which tanker cars carried in this accident. 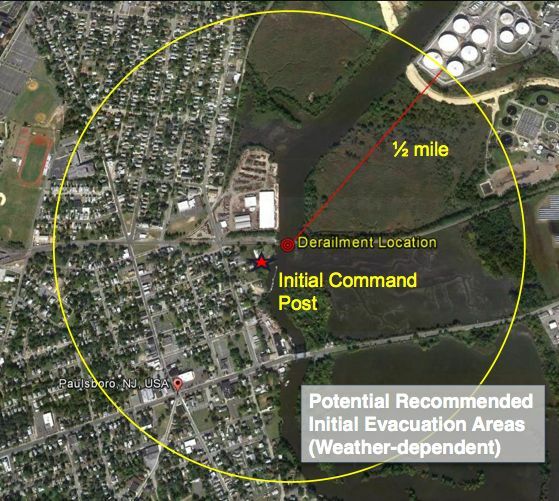 The emergency responders in Paulsboro failed to meet this minimum evacuation zone radius and there was no scientific basis for the portion of the community that was evacuated. Second, local officials were not the lead responsible entity for the emergency response and they can not be expected to be experts in chemical safety, so I really can’t blame the local fire chief and local police for egregious falsehoods and mistakes they made. I blame state and federal officials who are responsible and are supposed to be experts. Those officials made a series of unforgivable “mistakes”, which I will go into in detail once the NTSB Report is released. At the time of the accident, we explicitly said DEP lied to the public – those harsh criticisms have been vindicated. Adding inset to injury from this scandalous negligence and coverup, I read that the former Mayor of Paulsboro and current State Assemblyman for the city, who served as the head of “communications” for this Keystone Cops fiasco, was “offended” by the NTSB Report. And we’ll explore Burzichelli’s role as well in future post, leaving for now that he was the former Mayor of Paulsboro, is the current State Assemblyman for the town, and has served as Gov. Christie’s “Red Tape Commission” and sponsored several bills that would roll back environmental protections , allow industry to get involved in developing state drinking water standards, gut NJ’s strict State standards, and weaken the ability of DEP to enforce the law. Much more to follow on all this. Do you think there is a vast difference between a small scale, limited duration, National Science Foundation (NSF) study designed to provide climate change data to a prestigious University, versus a long term energy industry study of the entire Atlantic coast designed to promote off shore oil and gas development? I tried to explain this in a prior post (see: Where is Gov. Christie on Obama Off Shore Drilling Plan? ), but the feedback I’ve gotten on it suggests I failed completely (i.e. I unsuccessfully submitted it as an Op-Ed to NJ’s 3 largest papers that covered the story, and even coastal advocates are confused by what I’m driving at). So let me now take another stab at it by comparing two off shore seismic research projects. 1) How the Gov. can possibly be given a pass on it? 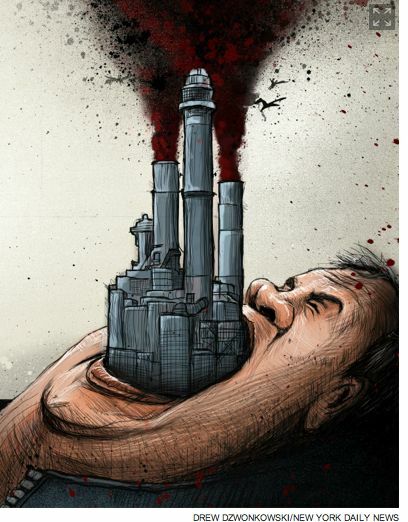 ; 2) How could the environmental groups have set the priorities and behaved the way they have? ; 3) How have shore district Republicans – at a time when even NJ Congressional Democratic leaders like Senator Menendez and Congressman Pallone were blasting President Obama – managed to have kept silent and elevated their Christie loyalty above their Obama hatred; 4) do people really not know the difference between climate change research and oil and gas development? and 5) given all this, how could the press have ignored the story or provided false praise of the Governor? Governor Christie has said he opposes drilling off the New Jersey coast, and has also expressed displeasure with the thought of oil rigs off Virginia or Delaware’s coast, just miles from Cape May. I’m sure Cindy Zipf of COA, who is quoted in the story, conveniently spun and told Bergen Record reporter Jim O’Neill this deeply misleading historical “fact”. She did exactly the same thing on the off shore LNG issue. Yes, that is technically true, Christie “has opposed” off shore drilling and “has expressed displeasure” (as in past tense), but Christie issued that statement back in March 2010 – before he was running for President. So what is Christie’s position now? Do reporters lack phones to call Drewniak and ask? Christie got away with the same dodge on off shore LNG and for the same reasons. I don’t think any of this is an accident. And, because the two different seismic issues emerged at the virtually same time, even I was confused by the media coverage, unable to distinguish the “Tale of Two Seismic Studies” – blinded by the Seismic Smokescreen. What is each study about and who supports and opposes them? I think the Gov. Christie has co-opted coastal groups – either effectively or actually via DEP $1 million grants or DEP supported federal grants (i.e. see this and this) – and made them loyal to the Gov. or of service by being actually on the Administration’s payroll – and that in return they are intentionally mounting a “Seismic Smokescreen”. I think the smokescreen is what explains the timing of their collective aggressive public campaign and litigation against one study and virtual silence on the other far more damaging one. So if readers have a rational fact based explanation – other than the one I offer – by all means provide it openly in the comment section here or privately send me an email. Although you may not know it and may have been confused about this by reading the press coverage or following the advocacy of coastal groups (i.e. what I call a “Seismic Smokescreen”), there are two seismic research studies planned for off the NJ coast. They are very different. But they share some common elements. Seismic studies used sound canons to blast tremendously loud sound waves under ocean waters – the echo back provides data regarding the subsurface geological conditions. Those sonic blasts harm sea life, especially marine mammals. So, these kinds of studies are to be avoided. Now let’s just very briefly summarize and compare and contrast these two seismic studies, based on rational evaluation criteria, in terms of their comparative : 1) research objectives 2) geographic scope 3) temporal duration, 4) adverse impacts 5) likely future application, and 6) the sponsors of the research, in terms of who is conducting and will likely benefit from the research and their scientific integrity. Let’s call these two studies A and B. Our null hypothesis is that the expected outcome is that the most harmful study will generate the most coastal group opposition, litigation challenges, and negative media coverage. We will compare this null hypothetical expected outcome with the actual outcome, and try to explain the deviation between expected and observed outcomes. That’s the scientific method we learned. Test the null hypothesis. Compare expected versus observed outcomes. So lets look at Study A first. The purpose of the survey is to collect and analyze data on the arrangement of sediments deposited during times of changing global sea level from roughly 60 million years ago to present. The findings of Study A would lead to a greater understanding of the issue of climate change. It is limited in scope to a small segment off the NJ shore and would be conducted for at most a few weeks. Pursuant to this selection, the Bureau of Ocean Energy Management (BOEM) will consider permit applications for oil & gas geological and geophysical activities throughout the Mid Atlantic and South Atlantic planning areas. In addition to being intended to promote oil and gas exploitation, Study B by BOEM would be designed by, conducted by, and benefit the oil, gas, and mineral corporate interests. These Planning Areas extend from the Delaware Bay to just south of Cape Canaveral and from the inner edge of Federal waters along that coastline to 403 miles offshore. The results of Study B would be concocted by the oil & gas industry, benefit them, and likely lead to off shore oil and gas drilling. Do you think there is a vast difference between a small scale, limited duration, study designed to provide climate change data to a prestigious University, versus a long term oil industry study of the entire Atlantic coast to promote off shore oil and gas development? Which study received more coastal group opposition, litigation, criticism by public officials, and media coverage. As a result, the media and the public think Gov. Christie is opposed to off shore seismic testing. But what about BOEM off shore Study B to promote energy development? Not so much. What explains the difference between expected and observed outcomes? Hw could coastal groups out so much emphasis into A while ignoring B? Why is Gov. Christie suing to block A but silent on B? See my prior post for links to the reactions. So can can anyone else explain this as anything other than a smokescreen, intentionally designed too confuse the media and the public about Governor Christie’s position on off shore seismic testing? How does tis NOT meet the classic definition of “smokescreen? [Update – Gov. Christie is not the only one to play these political games. Yes, he used his Attack on the NOAA seismic study to divert the media from the tougher issue of off shore oil drilling, manipulate support from his coastal friends at COA, and look good while doing it. Obama played a similar cynical game by announcing off shore wind leasing, hoping that would divert media and win environmental group praise, just before his friday afternoon press dump announcing the off shore oil drilling seismic initiative by BOEM. What about those sonic tests harming marine mammals? Is the economy more important? All I can say, after almost 30 years of work as a “professional watchdog” and whistleblower is – Wow! 1) broken up a “conspiracy“; 2) to mislead the public; 3) about the “safety of our drinking water” and 4) advocated for “professional environmental watchdogs” in government agencies to expose the “cover up” of “significant contamination issues”; 5) intended to “avoid building an expensive water purification plant” to “remove the chemical from the water”. Investigators alleged Mowell and Mansmann took the actions to avoid building an expensive water purification plant that would remove the chemical from the water. Exposure to the chemical, used for dry cleaning and other purposes, over a prolonged period of time is a potential cancer risk, according to the federal health department. But state Department of Environmental Protection officials said their own testing showed residents were not at risk and the water was safe. What? Residents not at risk? Really? How can DEP sampling documentation of “high levels of volatile organic compounds, inorganics, radon and disinfection by-products” in June be called ‘safe” in July? Perhaps the Star Ledger could resolve the apparent contradiction in a followup story and maybe AG needs to look into DEP for the same abuses he prosecuted this case on. “It’s not any kind of violation,” Fell assured The Times. I am so tremendously pleased that the criminal law enforcement resources of the Christie Administration are looking out for our drinking water, because the policy, regulatory, and administrative enforcement sides of the administration responsible for protecting our drinking water are in complete abdication mode. As an environmental professional and watchdog , most recently of the Christie Administration, with a longtime focus on DEP, I am writing to thank you for prosecuting the East Orange drinking water conspiracy and to suggest other targets for investigation. I write in light of the standards you upheld in that prosecution, as reported in today’s Star Ledger story, particularly a conspiracy to mislead the public about the safety of our drinking water and your advocacy for professional environmental watchdogs in government agencies to expose the cover up of significant contamination issues intended to avoid building an expensive water purification plant to remove the chemical from the water. the Oyster Creek nuclear power plant, revealed by the case of Dennis Zannoni, NJ DEP’s former Chief Nuclear Engineer, and the conspiracy of harassment and retaliation for disclosure of those risks (see this). toxic heavy metal chromium, revealed by the case of Zoe Kelman, former NJ DEP Chemical Engineer, and the conspiracy of harassment and retaliation for disclosure of those risks (see this and this). hundreds of chemicals known by DEP to be present in NJ’s drinking water, and the failure of government officials to disclose to the public and act on those risks (see this). As you know, consideration of costs in setting drinking water standards pursuant to NJ’s Safe Drinking Water Act is not legally authorized. Yet the practice is widespread and even documented in official State policy. Specifically, I urge your investigation of DEP and the Drinking Water Quality Institute to begin with Governor Christie’s Executive Order #2, which, among other things, directs DEP to provide “regulatory relief”, hold off the record meetings with regulated industry, and to conduct “cost benefit analysis”. We applaud your efforts to promote professionalism and whistle blowing. See the above point #I regarding specific examples of DEP whistleblowers and retaliation by DEP managers. As a former whistleblower myself, I can personally testify to institutional corruption at DEP with respect to suppression of science, failure to disclose risk, and retaliation against professional whistleblowers who do. I urge your investigation to examine DEP Commissioner Martin’s transformation and “burning platform” management initiatives for DEP professionals to abandon what you refer to as a professional “watchdog role” and provide “customer service” (see this). The water utility involved in your prosecution “blended” various source water supply wells. The practice of “blending” is a common and statewide abuse to circumvent regulatory MCL’s that undermines public health. DEP looks the other way or actually encourages this abusive practice. In closing, I look forward to your timely investigation of the foregoing and am able to provide additional information upon request. Some of the most controversial economic, public policy, and political issues NJ has ever faced were raised by Superstorm Sandy – particularly issues surrounding how the Christie Administration prepared for Sandy and sought to rebuild the shore, especially in light of the need to adapt to climate change. So, obviously, the Governor’s coastal redevelopment policies should have been a focal point of press coverage and public debate during the 2013 Gubernatorial campaign. So, he took steps to avoid that. Follow this to understand how DEP grossly abused their power to do this. Telling this story requires that I delve into the regulatory weeds on the chronology – what DEP did before and after the election on the same rule – and lay out the basic theory of government to illustrate why that was such a gross abuse. So bear with us as we try to do so. On June 2, 2014, Governor Christie’s DEP proposed a massive 1,000+ page re-write of 40 years of coastal land use and natural resource protection policy. Instead of reforms designed to adapt to the huge challenges of coastal sea level rise and reduce risks to life and property, the Christie proposal would invite even more development to NJ’s highly vulnerable coast. While the current DEP proposal is generating huge controversy, virtually no one knows that less than a year before the DEP published the current massive re-write – just months before the November election – on July 1. 2013 DEP quietly posted a notice of re-adoption of the rule, without change. The DEP readopted the coastal rules – without change – for another 7 year period. Yet less than 1 year later, the DEP totally rewrote the same rule! That stealth move by DEP in July 2013 – basically hiding the Governor’s coastal development policy – kept critical coastal development policy issues below the radar and shielded the Governor from the intense criticism he is getting right now. The DEP’s quiet 2013 pre-election re-adoption of the coastal rule with no change was followed less that a year later with a post election re-write. That is an incredible abuse that violates fundamental principles of administrative law and Constitutional separation of powers. Under our Constitutional scheme, the Legislature sets policy through laws. The Executive implements that policy. The public is supposed to have a voice in policy, and that voice is expressed in both elections and during the various government processes that set policy. Legislators enact laws in open sessions and they are accountable to the voters for the laws they pass. That’s how representative democracy works. That is, at least in theory, what the “separation of powers” is about. But, in actual practice, legislative and executive powers are not separate, but are blended or shared powers. 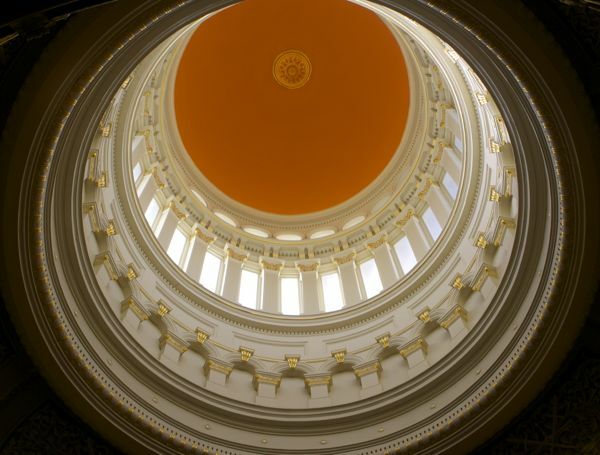 The laws Legislators pass delegate power to Executive Branch officials to “fill in the details” required to implement and administer the laws consistent with the policy set by the legislature. These “details” are filled in in regulations. Regulations have the force and effect of law. But regulations are written by unelected Executive Branch officials who are not accountable to the voters. Because regulations blend Executive and Legislative branch powers, they must be adopted by procedures that provide transparency, accountability, and due process. These procedures include giving the public an opportunity to review and comment on proposed regulations, including at least one public hearing. These procedures are the means for holding the Executive Brach agencies who write the rules accountable to the public, to the legislature who passed the law, and to the laws that authorize the regulations (which provides a factual record that enables the Judicial branch to hold the Executive Branch accountable to law). Regulators are often criticized as “unelected bureaucrats” for effectively usurping the powers of the Legislature via undemocratic and unaccountable regulatory means. That is why the regulators must follow laws that require that their regulations be subject to public review. In July of 2013, the Christie DEP – if quietly – told the public that there would be no change in coastal policy for at least 7 years. That was the policy record theoretically available to voters going into the election. But shortly after the election, Christie announced a massive and controversial re-write of coastal policy to promote even more development at the shore, while ignoring climate change. The cynical Christie DEP played political games and grossly abused our entire Constitutional scheme of government.